I needed these. It's so gray and snowy here. These are so cheerful! Thank you for sharing them! love the sunny yellow! I can''t wait until my forsynthia comes out in the spring, so I can have pretty branches like the ones in the vase! These are beatiful Blair! I love all that warm sunshine pouring in. And I love yellow in a kitchen. Hi Blair, LOVE the first image, those forsythia(sp?) are so vibrant, you can't help but be in a good, sunny mood! My favorite is the first nook, the white contrasted with that beautiful vase full of yellow looks incredible!! We really needed this post we are liking of a splash of yellow in a kitchen.Looks so sunny and happy. I love these photos! Thanks for sharing them! 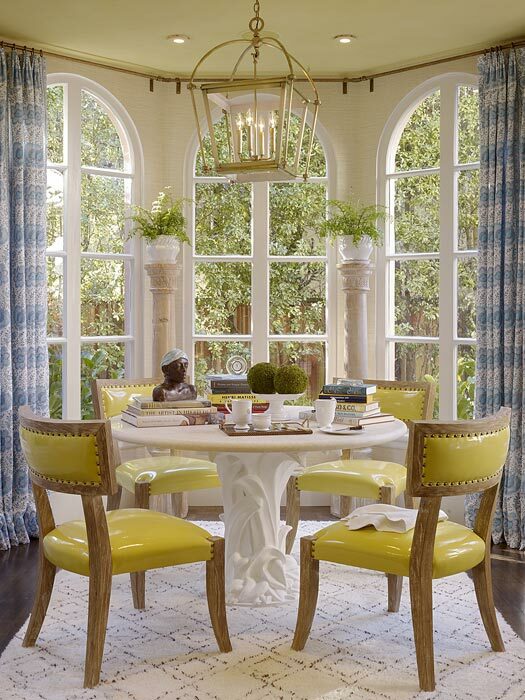 with spring around the corner i'm loving these hits of yellow to really brighten up a space! I like all the yellow... it's so cheery! Love that first room! Beautiful! That first one is wonderful. I too crave natural light - I think it's innate having grown up in Sweden.. I am always helplessly drawn to rooms filled with light and fresh energy. Someday I want a nook. SO comfy and homey. Love these finds. These chair are more exceptional of the last picture .